See and feel the roar of the USAF Thunderbirds in an immersive experience captured by Crosswater VR/360 Producers, Dan & Lauren! Look up to the sky and follow the formation of F-16 Thunderbirds soaring overhead! Crosswater’s audio engineers have years of experience in sound designing spatial audio, so make sure to wear your headphones for the fully immersive experience. You’ll feel like you’re there! Try following the jets with your ears as their thunderous power passes over your head! Then, open your eyes and see if they catch up to where your ears had sensed their location. It’s a wild experience! 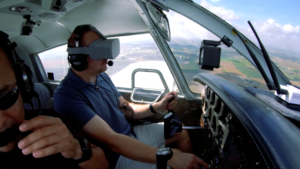 Crosswater’s VR/360 producer and avid aviation enthusiast, Dan, takes us on his adventure in a B-17 bomber, known as the “Flying Fortress” during WW II. Join Dan as he explores inside the aircrafts multiple turrets and captures a birds eye view of the terrain below and the skies above! Many thanks go to the Niagara Falls Air Base for allowing us to capture this immersive video, and share it with you. Wear a VR headset and headphones for the most immersive experience! Like, follow and share Crosswater’s Social Media pages to stay connected and be the first to know about our exclusive VR/360 content. VR technology has revolutionized ways that people complete their jobs, and its uses keep expanding! Pilots are now using VR while flying to help them visualize their surroundings and increase situational awareness. Read the article and watch the videos to get the perspective of 2 long-time Texan pilots, who advocate for the use of VR in the cockpit. What do you think? Would you want to be on a plane with a pilot in VR? 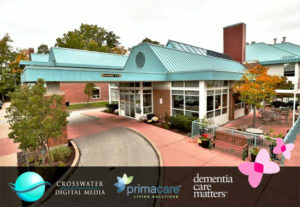 The Toronto Star published an article detailing the innovations to long term Dementia care that are being implemented by our Canadian partners, Primacare Living Solutions. 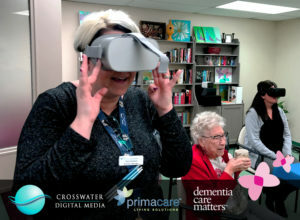 Crosswater is their exclusive provider of Immersive VR/360 experiences, designed to soothe Dementia patients with relaxing content. Their dedication has been reaffirmed with the adoption of UK based Dementia Care Matters’ Butterfly Model of Care, which has gaining global adoption in Ireland, Australia, the US, and now Canada. 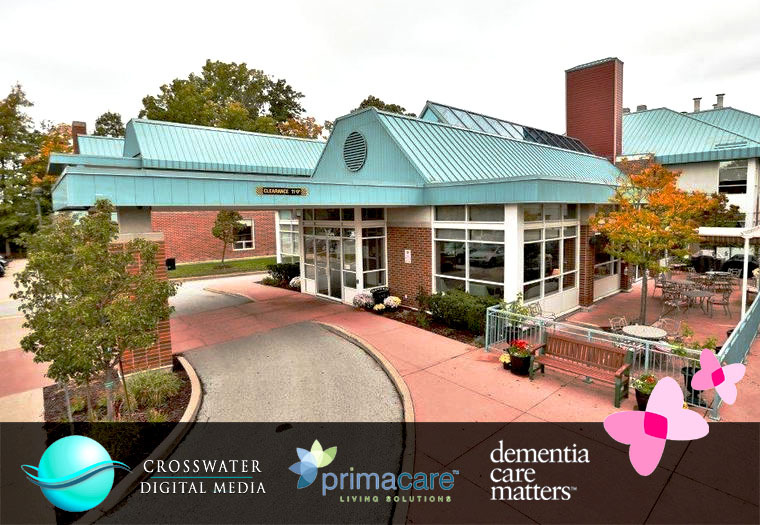 Crosswater is proud to be apart of such a forward thinking team that is dedicated to improving the quality of life for so many who suffer from the impacts of Dementia. 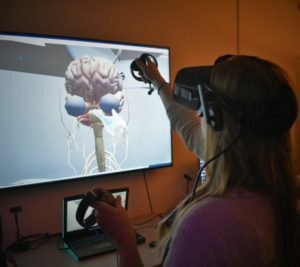 Crosswater renews its dedication to VR for medical training this week at UB. Crosswater’s Immersive VR/360 producers are back at the University at Buffalo’s Jacobs School of Medicine and Biomedical Sciences in the Behling Simulation Center to capture an Emergency Code Scenario. In the future, simulations like these can provide students with the chance to experience what challenges they’ll face before they even have to step foot in the ER, or any other hospital setting where a code may occur. Curious? Ask us questions about our work with UB and the Jacobs School of Medicine, and the benefits that immersive media is bringing to the next generation of physicians’ education. Get a taste of our VR/360 experiences by taking this Crosswater produced virtual tour of the beautiful Jacobs School of Medicine. The introduction of VR has been the technological shakeup that the media industry needed to recognize its full potential to have a positive impact on the world. 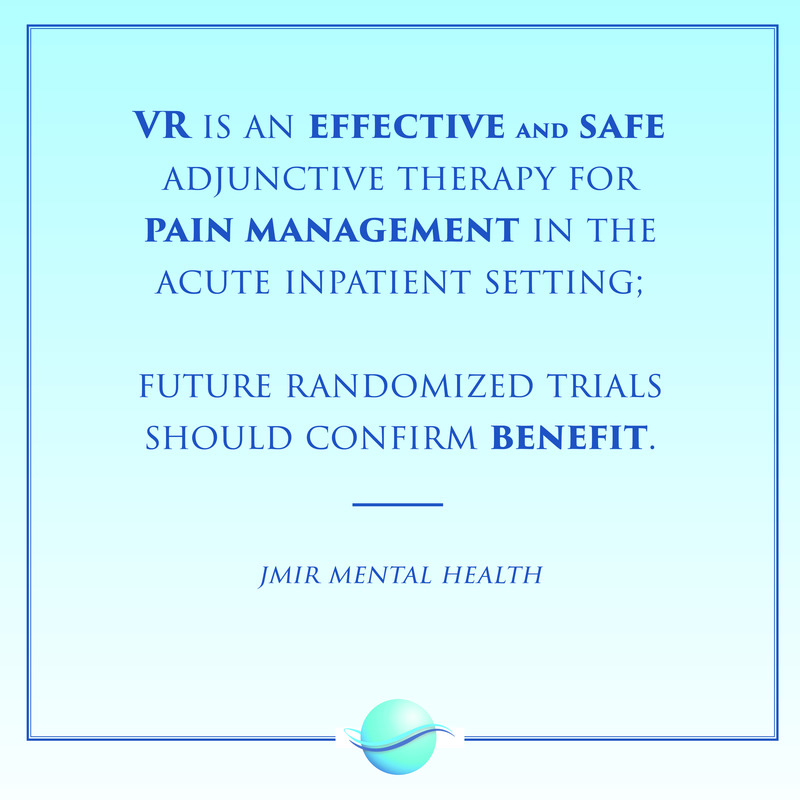 Immersive VR/360 media is commonly used to reduce pain and discomfort during medical procedures, resulting in a fewer need for opioid pain killers and creating fewer dependences to the drug that kills so many every year. VR has to power to revolutionize how we treat people in need of care and how we teach growing minds. 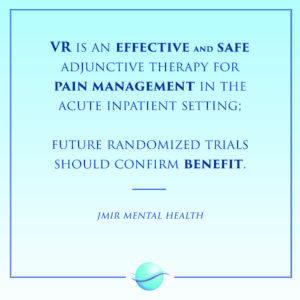 This article touches on many benefits of VR, from pain management, to improved memory retention and medical training. Follow the link to read the findings of researchers at esteemed universities, such as University of Maryland and University of Washington. Contact Crosswater at (716) 884-8486, crosswater@crosswater.net, Facebook Messenger, or LinkedIn to learn more about how the impacts of VR could benefit you. 1. They make training more innovative and enjoyable. 2. They create experiences that are impossible in any other form of training. 3. They teach through practical simulation rather than theoretical concepts, which leads to greater information retention. 4. They offer a practice space that encourages users to learn from their mistakes. 5. They encourage employees to explore at their own pace and in their own style. Contact Crosswater at (716) 884-8486, crosswater@crosswater.net, Facebook Messenger, or LinkedIn to learn more about how you can bring VR Training to your business or workplace. The U.S. Army is using immersive VR/360 media for training purposes. They have been creating realistic 3D simulations of various scenarios to introduce soldiers to accurate combat experiences. These first iterations of VR training are expected to “enable units to enter live training at a much higher level of proficiency,” according to Maj. Gen. Maria Gervais, deputy commanding general of the U.S. Army Combined Arms Center-Training. VR Training is becoming widely accepted and practiced as a legitimate form of job training for nearly any profession in almost every industry. Contact Crosswater to learn more about the benefits VR Training. Here’s a shot of our Canadian partners, Primacare Living Solutions, trying out the Crosswater-produced VR/360 Dementia care content. This, coupled with implementing UK-based Dementia Care Matters’ ‘Butterfly Model’ in their facilities, solidifies their dedication to improving the quality of life for their Alzheimer’s and Dementia patients. Crosswater will be there with them every step of the way on this project, dubbed ‘The Albert Project’, to create all Immersive VR/360 environments and soundscapes to elicit the most impactful and meaningful results.